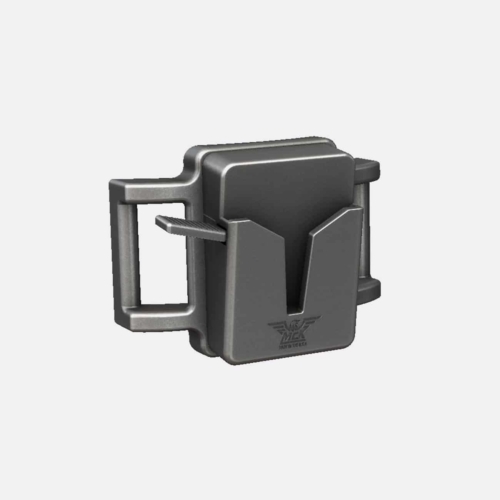 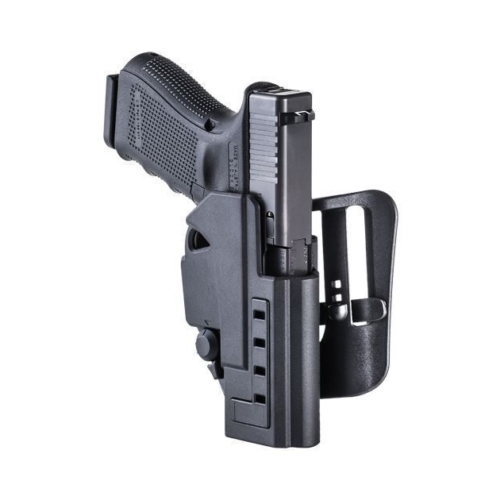 The BSMP Break Away Single Magazine Carrier is with a unique open-front design, and retention system allows the user to “break” or push the magazine away, even in extreme conditions. 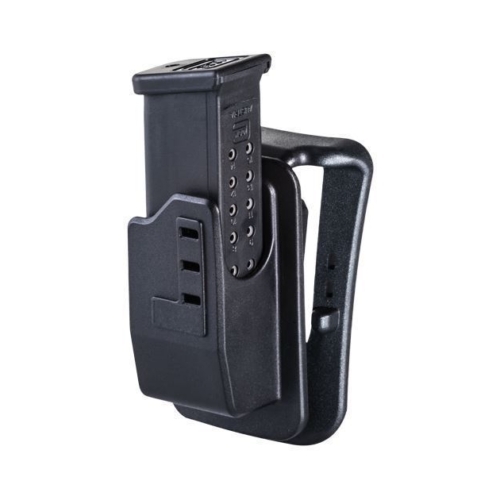 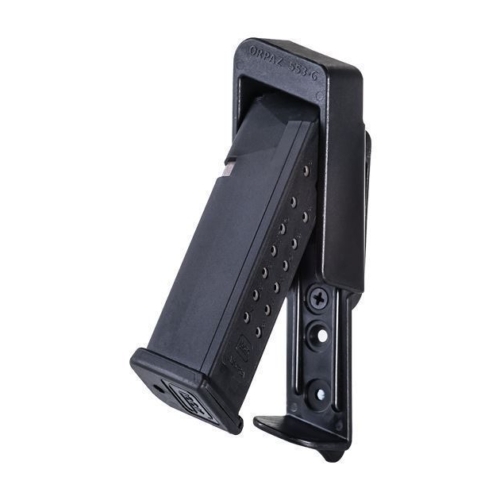 The BSMP utilizes a compact paddle belt adaptor and can be securely carried either paddled, or on the belt, and provides the adjustable 3-position angle. 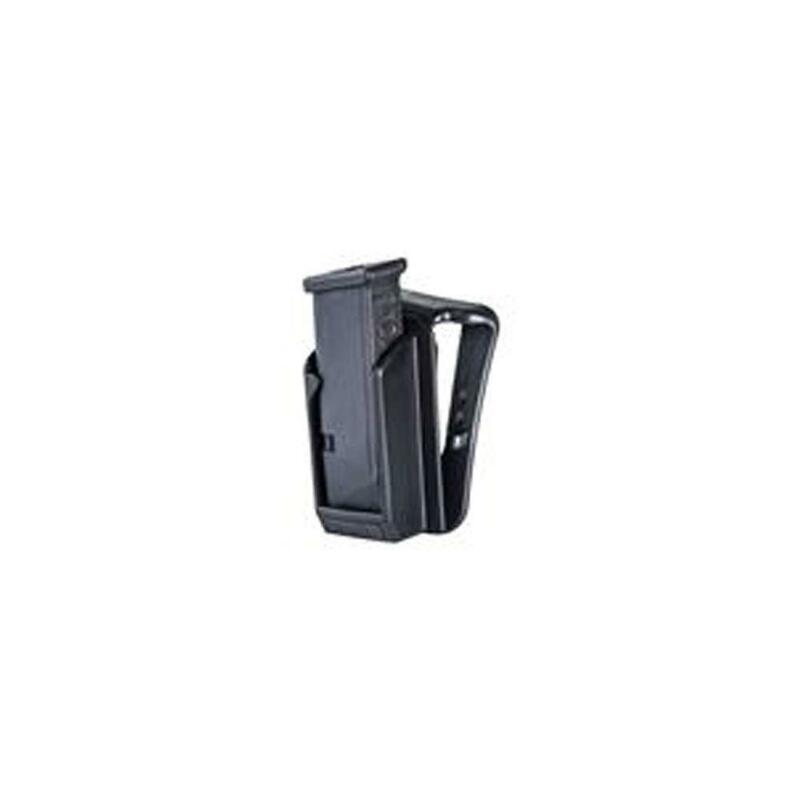 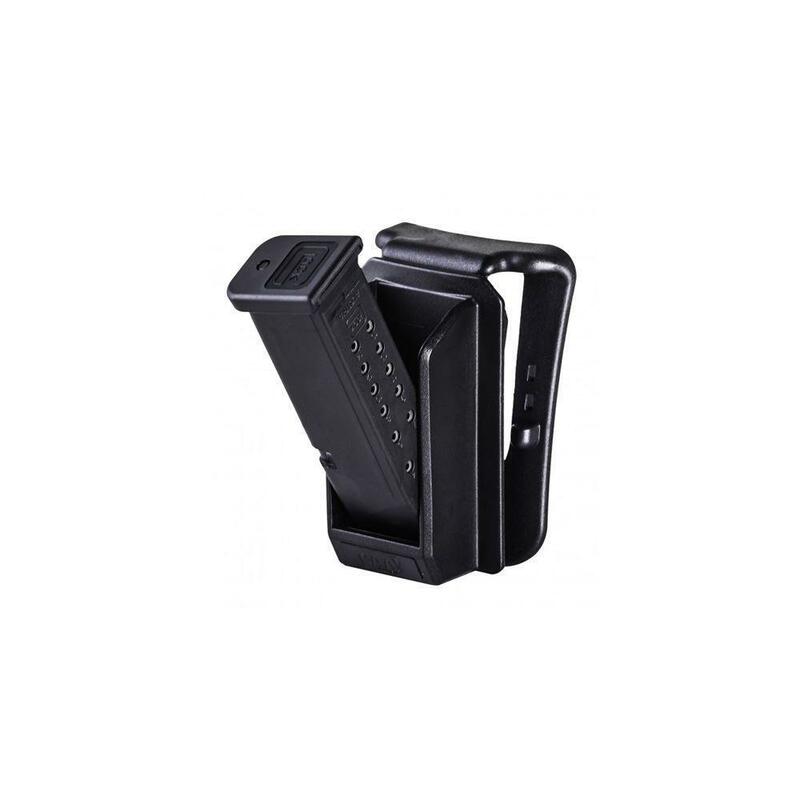 The single magazine carrier is equipped for all Glock 9mm & .40 cal magazines.